Rokushiki: Rokushiki is the main style of combat for the World Government's secret CP9 agents, but some Marines have also demonstrated its usage. Geppo :The Geppo allows the users to actually jump off the air itself, allowing them to stay in the air for much longer than usual. CP9 members can use this technique to cross great distances without ever touching the ground, or set themselves up for swift, aerial attacks. Shigan:The Shigan is a close-quarter combat technique, in which the user pushes their finger into a certain target at a very high speed, leaving a wound similar to a bullet wound. two gunblades given to him by the Instrutors at the CP9 base for completing and surviving. Power: Allows the user to turn their body into air and to control multiple aspects that come with the ability of air. Strengths: The user obviously can become their aspect, in this case air and this also grants invisiblity due to humans and animals not being able to see air. The user also gains typical aspects such as the ability to tune into the wind to increase their own hearing range and increased lung capacity. If the ability has been trained can control apects of the air such as air pressure (Such as when swordsman swing their weapon with such strength that a shockwave of pressure is created.) The User can also move air around to create areas void of air to suffocate enemies. The user can also fly through the air due to the control as well as create tornados. The user can also create air bubbles to coat themselves and other so that they can swim underwater for a limited duration of atleast an hour. The ability to vibrate the molecules that make up air also gives abilities such as increased hearing range and allows for some sonic attacks. The user can also create vortexs in the air so for example, if the user used a gun and shot a bullet, they could use a vortex tomake the bullet no matter where they shot home in onto the target. Combined with weapoons, this ability can increase certain attacks such as the gun with vortex and air pressure with a sword. Weaknesses: Obvious weaknesses are things such as falling into water (Without an air bubble of course), Arnament Haki which allows people to attack logia type devil fruit users and the people who are good at sensing air and weather patterns can help track his movements when fully in air form. Notes: Inhaling him won't work as he would burst the lungs of whoever trys (Including Monkey D Luffy's lungs due to logia types being able to produce an infinate supply of their ability.) Another note is that buy spinning and pressurising wind, he can create mini cyclones on his body to create drills or even make his body into a walking body made up of cyclones while in air form. can make a bullet fly faster then normal depending on the concentration level. can increase the shockwave a sword can make. Many CP9 Insturctors that were forbidden to give out names. History: at birth the marines took him from his family due to a contract his father signed to keep him from prison. heart broken his mother did not survive the child birth but with his new found freedom his father vanished even from marine intelligence.as a kid he knew nothing of ordinary childhood, what he knew was the military.considerably underage and malnourished in basic knowledge he was still able to take on men many years older then him. at the age of nine during a training exercise with three men that bullied him there was a commotion as he brutally murdered the men. 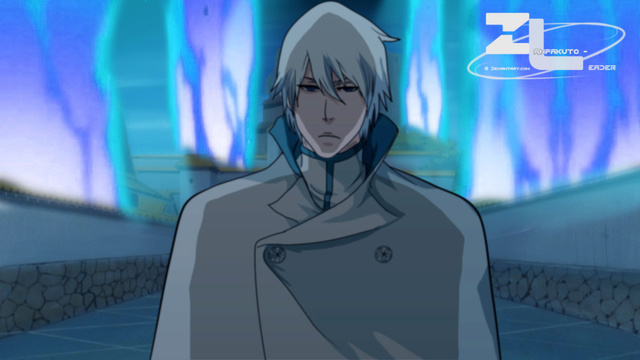 instead of being punished they sent him of to a secret place to train under very secretive instructors known to him as the CP9 Organizers in which they erased his very existence. throught the years he trained and survived every bloody trial they set for him and once he completed the final trail they locked him in a room full of fruits some poisonous some devil fruits and some regular ones that would wipe his memory. as he sought through them the lights went off leaving him in pure darkness something he was comfortable with,the instructors seeing him through a nightvision camera began to get annoyed.after thirty minutes he finally chose one and ate it. instantly vanishing from sight as he became the air itself. after that point his training intensified and he was battered and beaten daily until he was able to master his fruit and the CP9 training known as Rokushiki. durning his first solo mission he escaped never to be seen again.